Bulfinch Pr. Hardcover. 0821207504 Missing dust jacket; otherwise in excellent condition. Acceptable Condition. Five star seller - Buy with confidence! . Fair. 1982. Bulfinch Pr. Hardcover. 0821207504 Item in good condition. Textbooks may not include supplemental items i.e. CDs, access codes etc... . Good. Bulfinch Pr, 1982-09. Hardcover. Good. 1982-02-02. Good. Ships with Tracking Number! INTERNATIONAL WORLDWIDE Shipping available. May not contain Access Codes or Supplements. May be ex-library. Shipping & Handling by region. Buy with confidence, excellent customer service! New York Graphic Society, 1979. First Edition. Hardcover. Very Good/Near Fine. Introduction followed by over 100 pages of black and white photographic images. The volume is edge rubbed and perimeter toned. The unclipped dust jacket is edge worn with light toning and occasional soiling. This is an oversized volume. Priority and international mailings will require additional postage. Boston: New York Graphic Society, 1979. First Edition. Hardcover. Very good +/very good +. Oblong folio. Red cloth spine over blue-grey cloth boards, in grey dust jacket. Spine sunned. Minor rubbing to corners. Faint toning to pages. Very good plus in like jacket. Includes 116 plates, with Adams' own foreword. Introductory essay by Paul Brooks, titled "Yosemite: The Seeing Eye and the Written Word". Boston: New York Graphic Society, 1979. First printing. Hardcover. Oblong folio [31 cm x 39 cm] 1/4 red cloth with blue cloth covered boards. Very good, with fading along the bottom edges of the covers, and a gift inscription on the front pastedown. In a very good, price-clipped dust jacket, with mild rubbing and scratching to the surface. A book which is both natural history and personal history, and whose images mark a milestone in the chronicles of photography and conservation. Bulfinch Pr. Hardcover. 0821207504 New Condition. . New. Bulfinch Pr. Hardcover. 0821207504 Like New Condition. . Fine. Boston: New York Graphic Society. Very Good/Very Good. 1981. Hardcover. 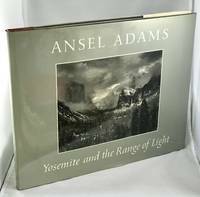 4to - over 9¾" - 12" tall 0821207504 Signed by Author PHOTOGRAPHY/Bijou-Very good oblong hardcover; spotting to the lower page edges, boards a little warped, vg edge worn jacket, signed by Ansel Adams on an affixed book plate. NO overseas shipments. gray w/white lettering . Bulfinch Pr, 1982-09-01. Hardcover. Good/Good. 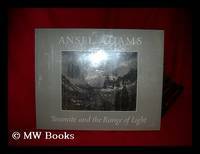 SIGNED by Ansel Adams on presentation bookplate. Fourth Printing, 1981. Oblong folio. Cover little rubbed. Interior clean and secure. Dustjacket is rubbed and edgeworn, few scratches and smudges.Your purchase benefits literacy and summer reading programs in Cincinnati and Hamilton County, Ohio. We ship every business day. All books ship in cardboard bookfolds with delivery confirmation. Boston: New York Graphic Society, 1979. 28p., plus 116 b/w plates, dj, oblong folio format. New York Graphic Society, 1979. Book. Very Good+. Hardcover. Signed by Author(s). 4th printing. Indentation streaks to back panel of jacket, pressing through to rear board. Signed by Adams on bookplate to front end paper..
Boston: New York Graphic Society / Little Brown, 1979. Hardcover. Near Fine/Near Fine. First edition. Folio measuring 15.5" x 12". Illustrated from black and white photographs. Introduction by Paul Brooks. Fading along the board ends, near fine in a near fine dustwrapper with a small chip on the rear panel, and tear on the front corner. Good. Signed by Ansel Adams on a bookplate attached to the front endpaper that was prepared for Time/Life Books subscribers. Boston: New York Graphic Foundation", 1980. First edition, third printing. Hardcover. Oblong - 12 x 15. 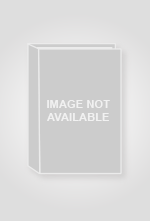 28 p.,"  leaves of plates : 116 ill. Good in a good dust jacket. Creases to the edges of the dust jacket with light damp-stains to the lower edges of the dust jacket and the boards. Fading to the cloth at the head and foot of the boards. Minor soiling to some of the inside pages. Otherwise the text is unmarked. The binding is solid. Boston : New York Graphic Society, 1981. First Edition. Fine cloth copy in a near fine, very slightly edge-nicked dw, now mylar-sleeved. Remains particularly and surprisingly well-preserved; tight, bright, clean and sharp-cornered. ; 28 pages; Description: 28 p. ,  leaves of plates : 116 ill. ; 32 x 39 cm. 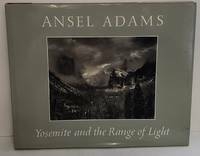 Subjects: Adams, Ansel, 1902-1984. Landscape photography --California --Yosemite National Park. Yosemite National Park (Calif. ) --Pictorial works..
Boston:: New York Graphic Society / Little Brown,, 1979.. Later Printing. Hardcover. Oblong folio, about 15.25 inches wide, in quarter red buckram on purplish cloth. 28 numbered pages with 116 black and white photographs, all but seven being full page plates. This book shows the National Park as only Adams, with inimitable clarity, could. The book is clean, bright and sound; the jacket is crisp and unworn.